Come April through November, it’s our favorite four-letter word. Hint: It’s steamy and spicy (and exceedingly blue). It’s meaty, yet delicate, too. 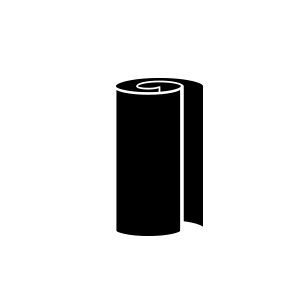 And just thinking about it gets us in the mood. 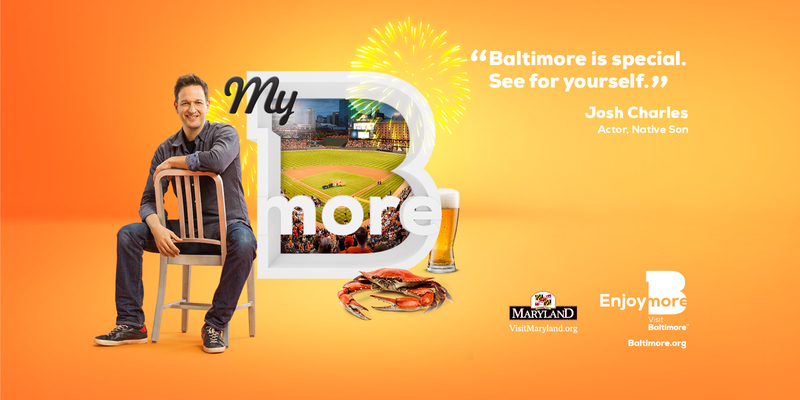 Any Marylander worth their salt—or, in this case, Old Bay—knows exactly what we’re talking about. 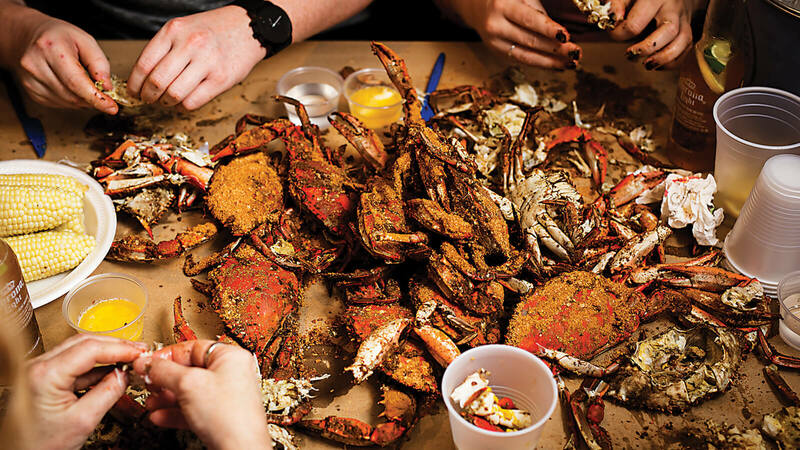 That word is crab—and our love runs as deep as the brackish bottom of the Chesapeake Bay in which they burrow (though out of season, Gulf-sourced are acceptable, too). 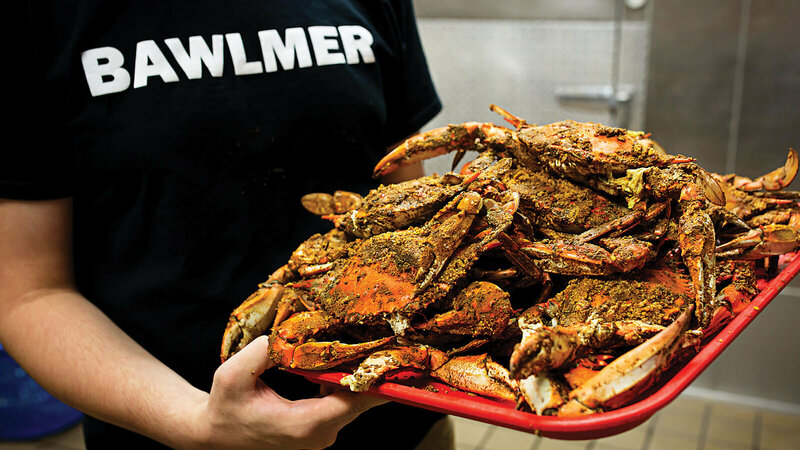 It’s hard to swing a mallet in Maryland without hitting a crab house. 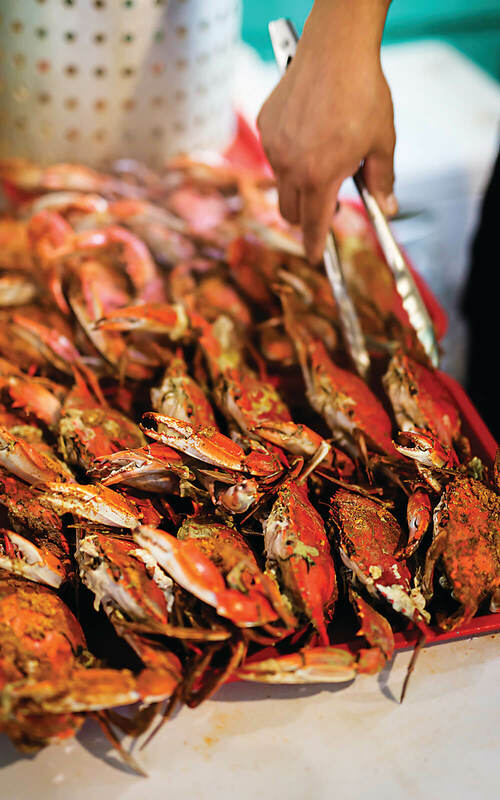 Most times you can’t go wrong—as long as crabs come properly sized, steamed, seasoned, and served on brown paper. 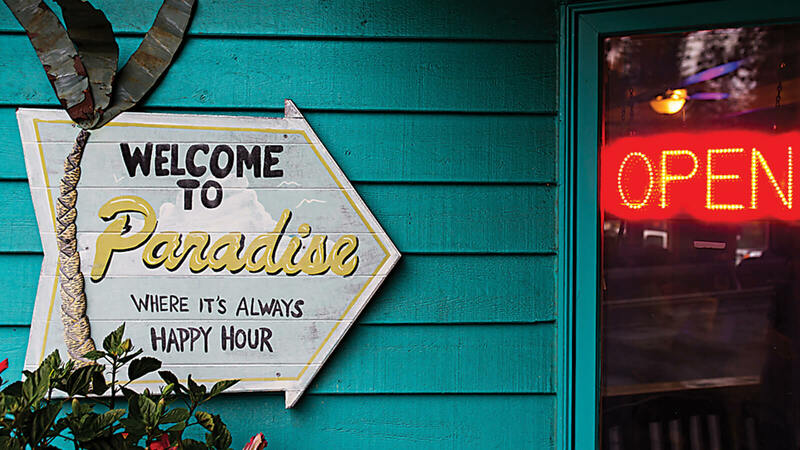 Even so, we’re here to help you narrow things down with a list of our favorite haunts (plus a few other goodies, including the history of houses, and some do’s and don’ts). Forget those tourist traps. 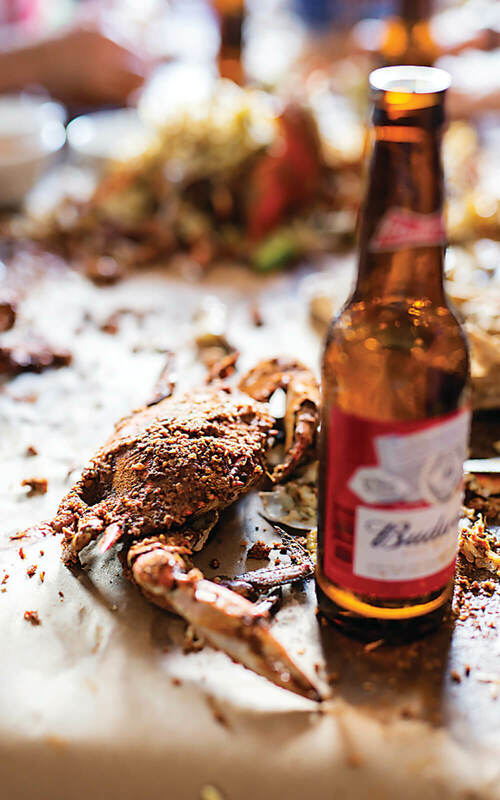 We’re particularly partial to the real deal: We’re talking neon beer signs, floors of sawdust or sand, laminated menus, galvanized buckets, and piles of crabs unceremoniously plopped on a picnic table. Feeling (true) blue? Read on. 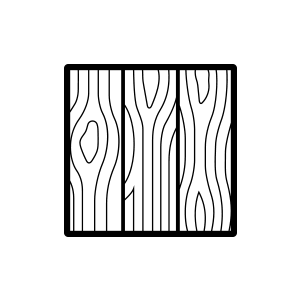 The Walls Knotty pine paneling. 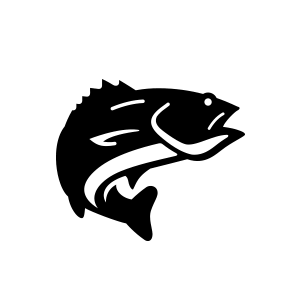 Fish Out of Water Mounted sport fish on the walls. 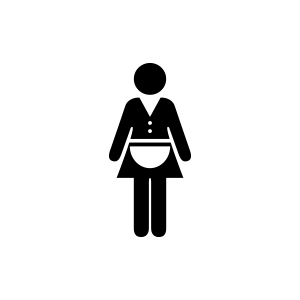 Sassy Waitress Waitresses old and sassy enough to call you “hon” and mean it. 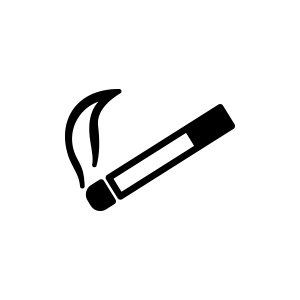 No Smoking Cigarette machine, even though smoking has been outlawed in restaurants since 2007. 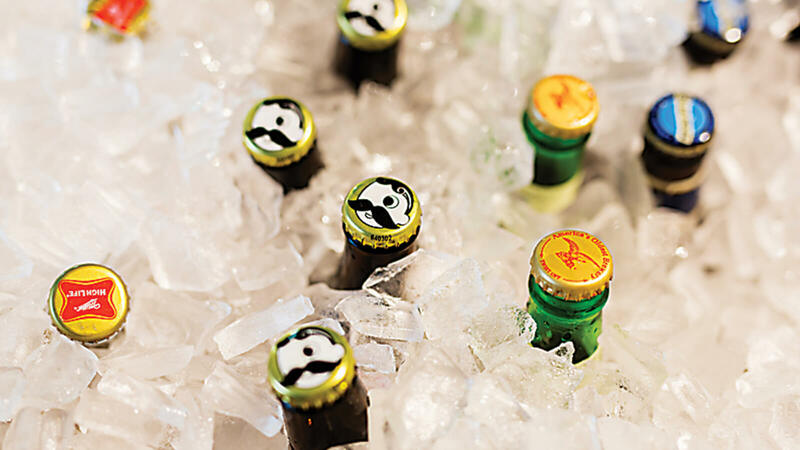 Bucket List Buckets of drinks: beer/ water/soda, etc. Getting Crafty Bulk supplies of brown paper, napkins, and paper towels. Just Desserts Dessert case stacked with lacquered-looking cakes and pies—bonus points if it rotates. 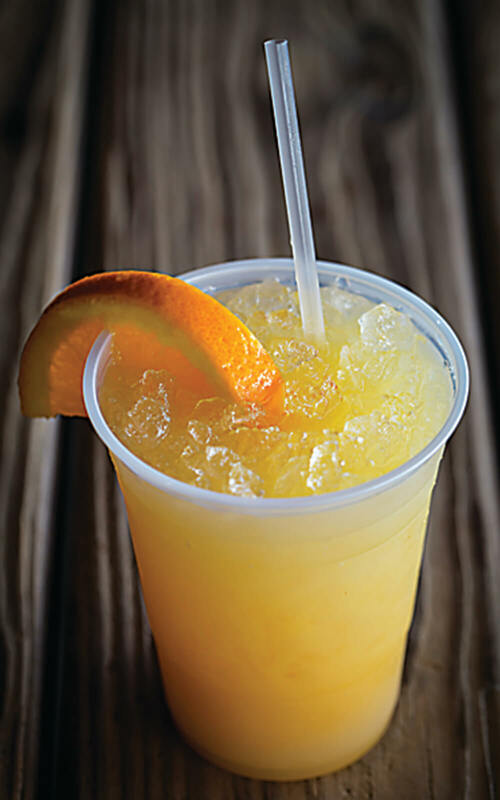 Canton Dockside: The goods; an orange crush; seafood skins; getting down and dirty; step-by-step. 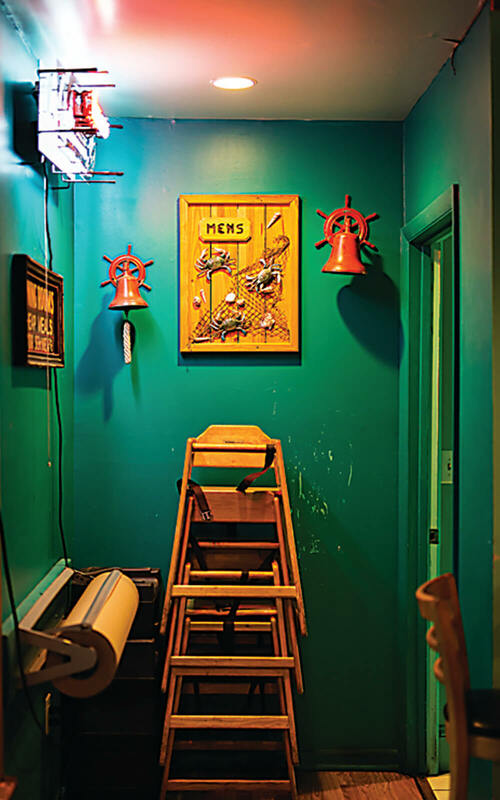 Fat Boys Crab Shack: A sign beckons; stacking them deep; a crab cake platter; the decor; picking crabs is finger lickin’ good. 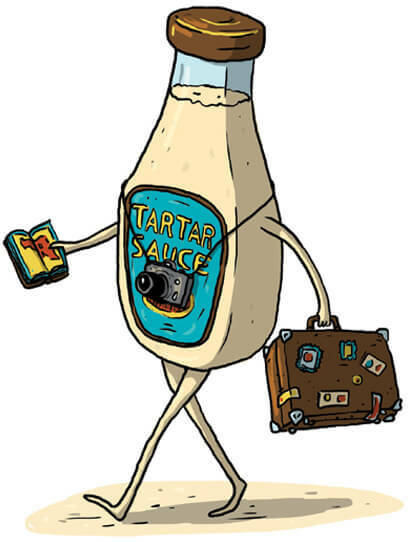 DON’T ask for tartar sauce (that is, unless you want to look like a tourist). 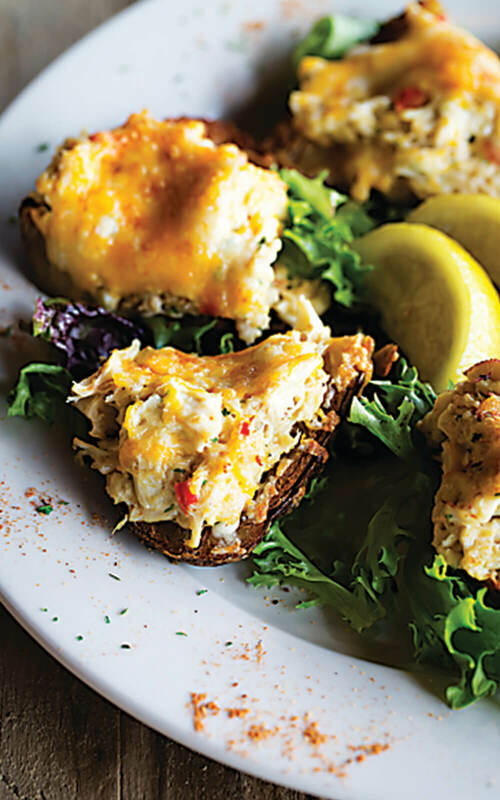 DO use the mallet gently to avoid cracking shells into the crab meat. Pro tip: Use your mallet in conjunction with a knife by placing the knife into the shell and tapping the top gently. 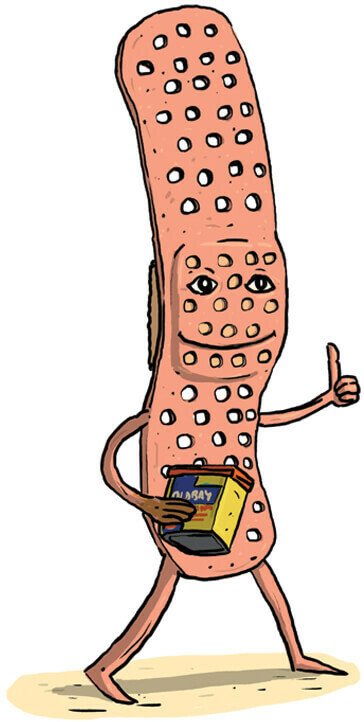 DO pack Band-Aids. It’s always fun until someone gets hurt. In other words, crab spice stings when it gets into an open wound! 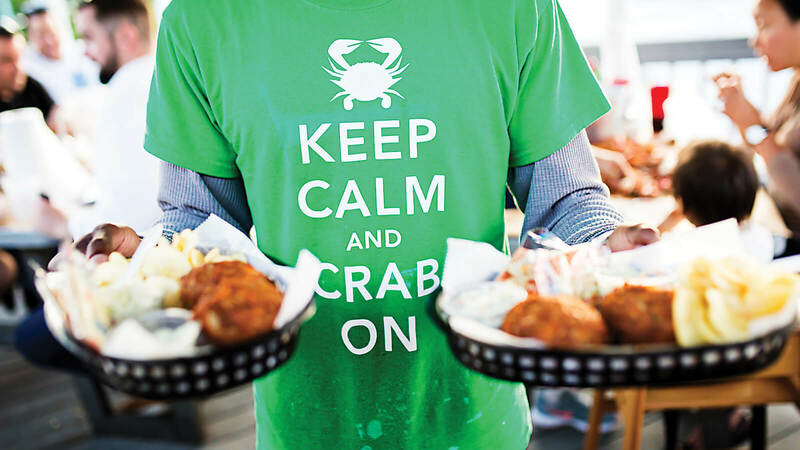 DO ask where the crabs are from before you order (acceptable answers are Maryland, Louisiana, or Texas Gulf, all of which are where you can find blue crabs). If the answer is Asia, note the nearest “exit” sign. DON’T wash the shell. In this case, “dirt” is desirable. DO wear appropriate clothing. Read: Avoid white, even if it’s after Memorial Day. 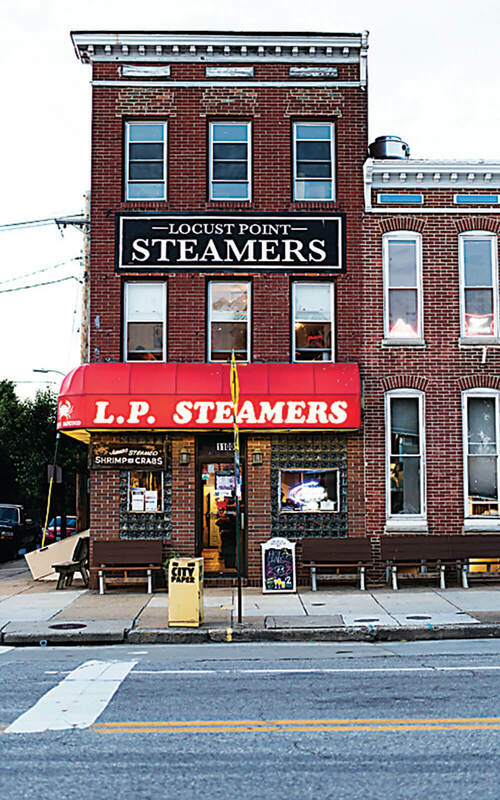 L.P. Steamers: Keep calm and crab on; sorting the sweeties; digging in; the rooftop deck; the view from the street; Bohs and other beers. 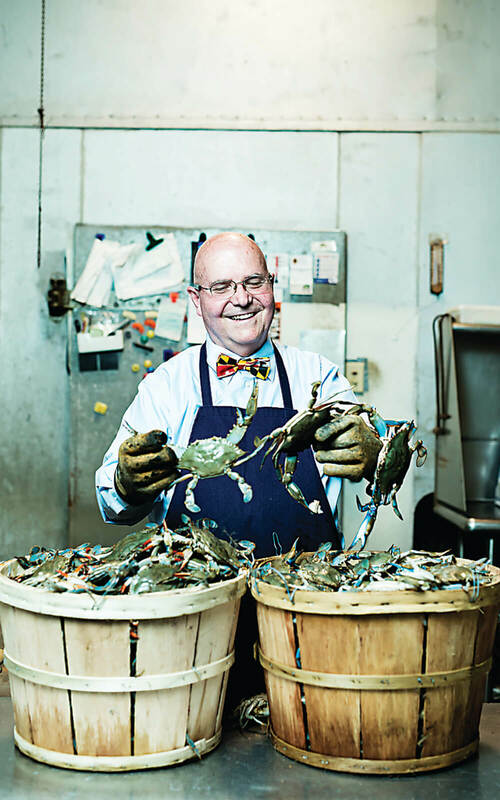 Mr. Bill's Terrace Inn: Getting to work; just-caught true blues; behind-the-scenes; a tray of seasoned crabs; rolling out the paper. After more than 70 years, the J.O. 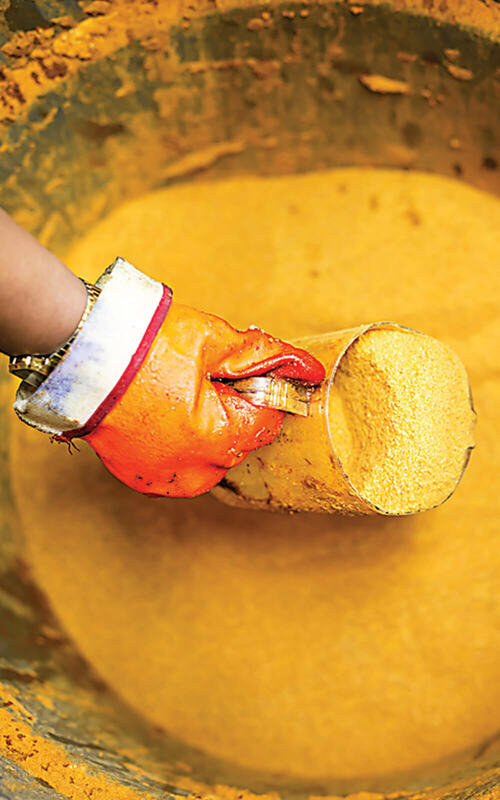 Spice Company is hotter than ever. ➤TOUGH TO CRACK: J.O. also makes mallets. Last year alone, they turned out more than 800,000 of the wooden crab busters. 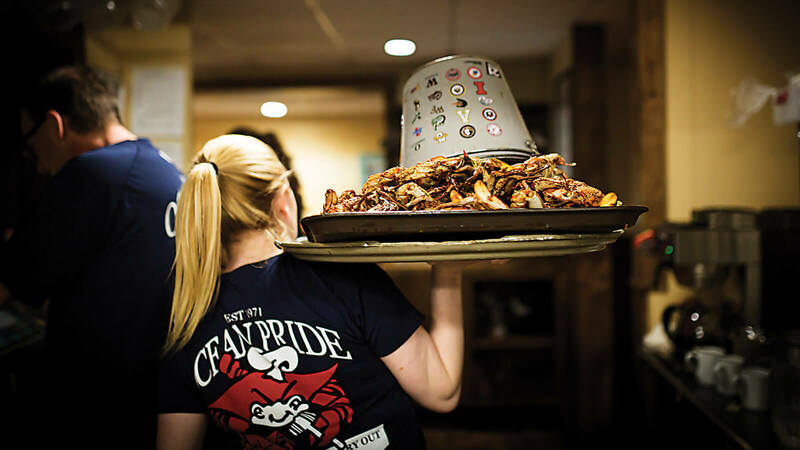 Ocean Pride Seafood Restaurant: A tray of seasoned crabs; a perfect pairing; in the kitchen; scooping the seasoning. 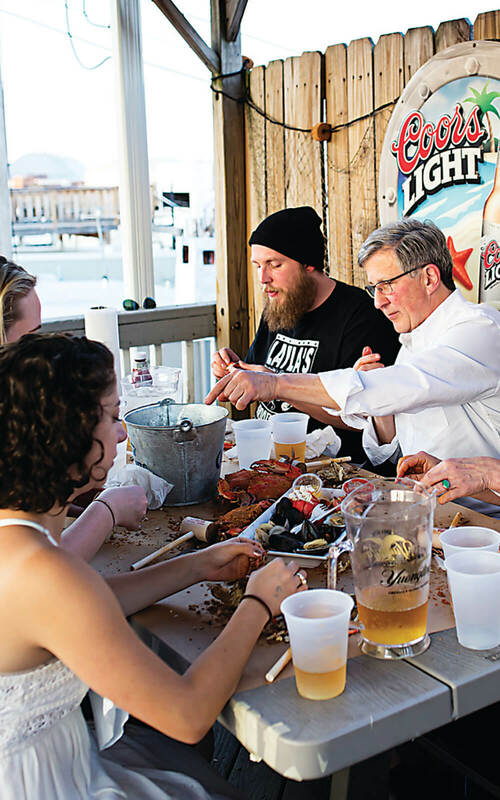 Kate Livie wrote Chesapeake Oysters: The Bay’s Foundation and Future last year, but the director of education for the Chesapeake Bay Maritime Museum in St. Michaels is also something of a crab historian. 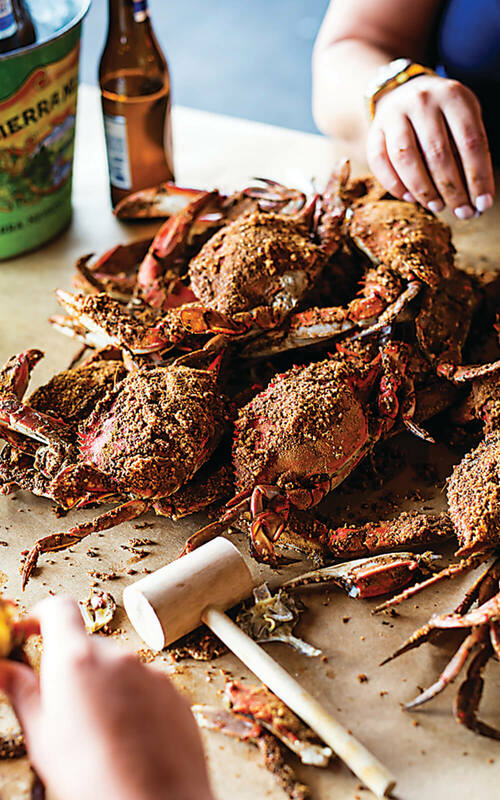 We caught up with her to talk about the history of Maryland crab houses. 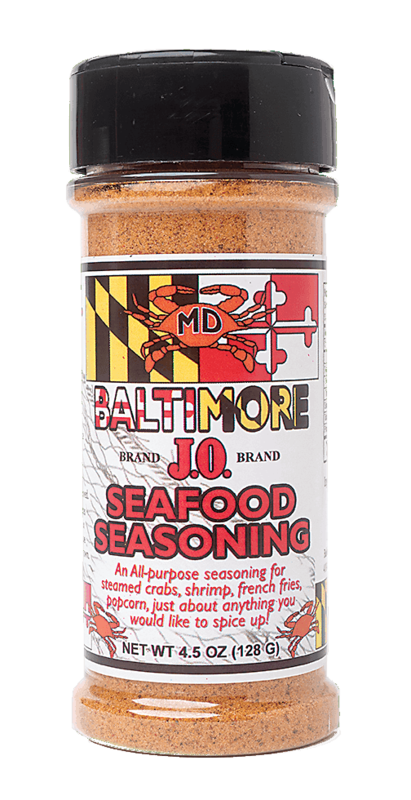 Baltimore: Historically speaking, when did people figure out that crabs were something you could eat? 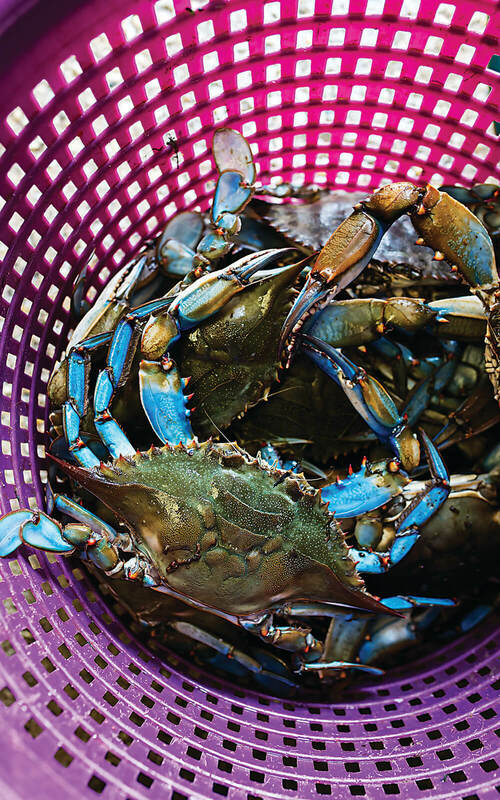 Kate Livie: We know more about the harvesting and commercial market and the consumption of oysters than we know about crabs, but the commercial market only started paying attention to crabs around 1917. Baltimore: Is that as far back as we can trace them being consumed? KL: People thought that Native Americans and colonists didn’t eat them because, historically, no crab shells were found, but that’s because hard-shells break down and decompose rapidly. Now, archaeologists are going to sites where they sift soil with a really fine mesh. 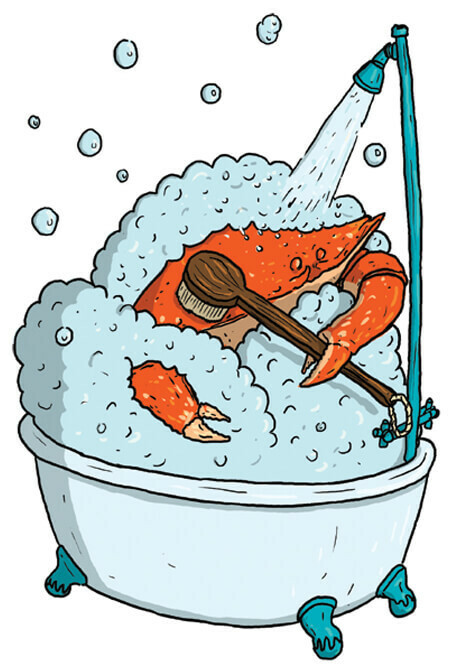 We’re finding some evidence that Native Americans onward were eating crabs, though if you think about it, when compared to oysters, they’re not the most efficient form of protein. Oysters don’t run away and can fill you up quickly. At that time, it made more sense to eat oysters. 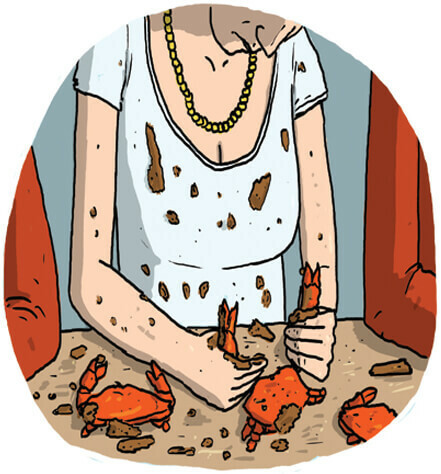 Baltimore: So how did the culture of cracking crab as a communal activity arise? 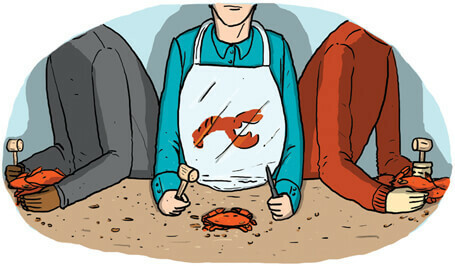 Baltimore: So was that the beginning of crab houses, as we know them today? KL: Crabs were not really a restaurant food. It was considered impolite and messy to eat in public, as you are savaging this creature. In the 19th century, you even see handbooks for women saying that they shouldn’t eat in public at all. 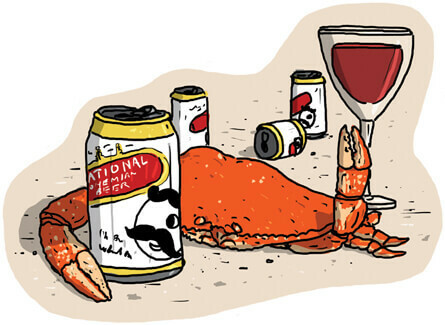 Hard-shell crabs were largely an at-home food, but as the concept of politeness shifted and you see a more relaxed atmosphere in the 20th century, you see people going out to crack crabs. This idea is also wrapped up in the concept of transportation, as cars and refrigeration become more commonplace in the teens and ’20s—the crabs have to be alive when they get to the houses. 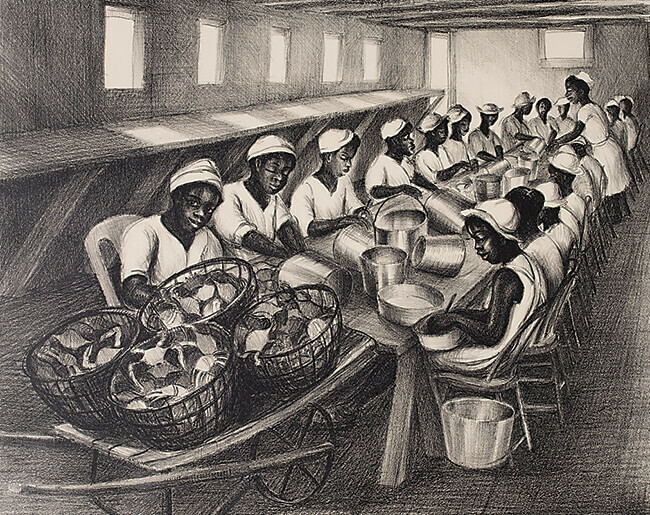 By the 1950s, the picking facilities became crab-serving facilities. 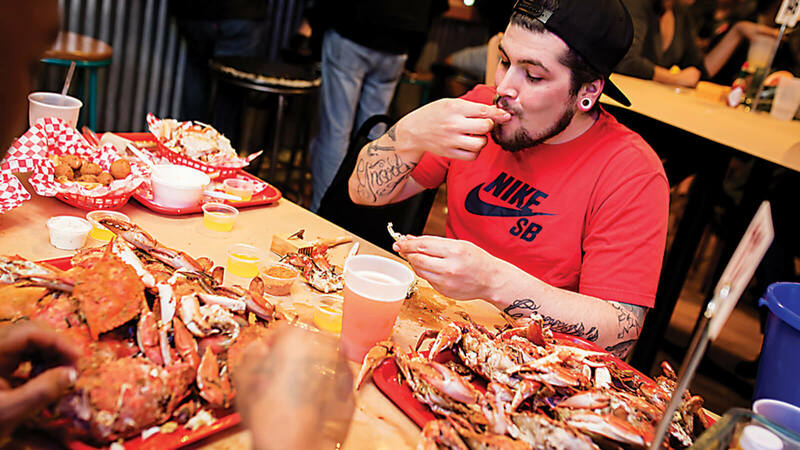 At that time, some of the first crab houses such as Phillips started to open and eating crabs became something you could do in public. 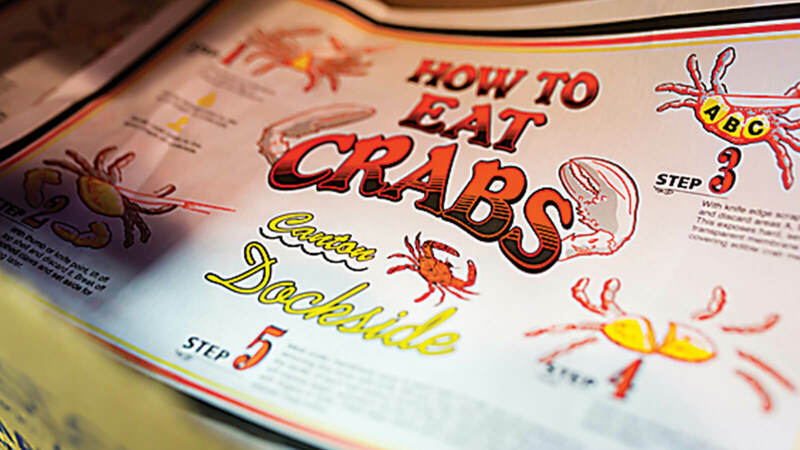 Baltimore: Why were they called crab houses? KL: The early crab houses were actually at someone’s house. Some lady would make crab cakes and clam cakes and hand them through the window. It was very informal. 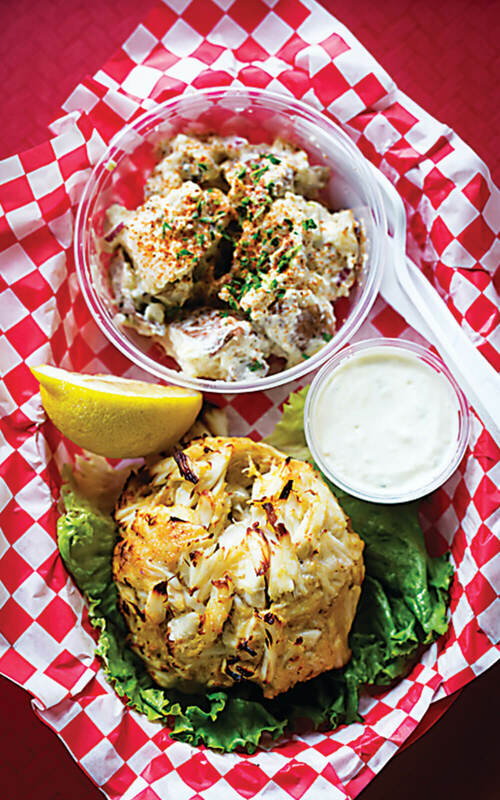 The first crab houses would have served crab cakes or prepared dishes—you’d walk on up to a window and someone would feed you. That’s the earliest concept for crab houses. 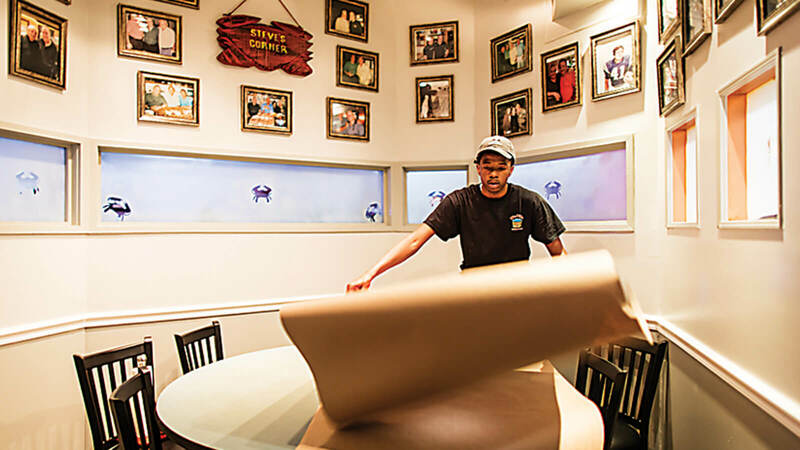 Baltimore’s oldest crab house is a family affair. 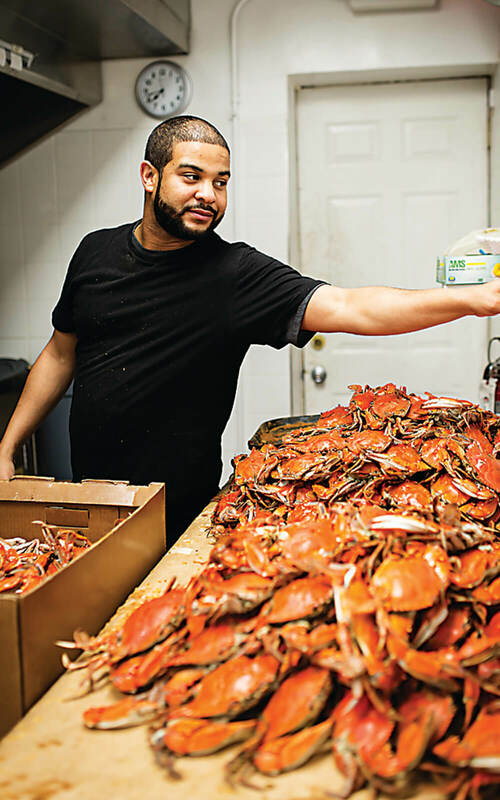 As Baltimore continues to gentrify, with condos transforming the skyline and national food chains opening left and right, S. DiPaula & Sons Seafood remains a stronghold of yesteryear. 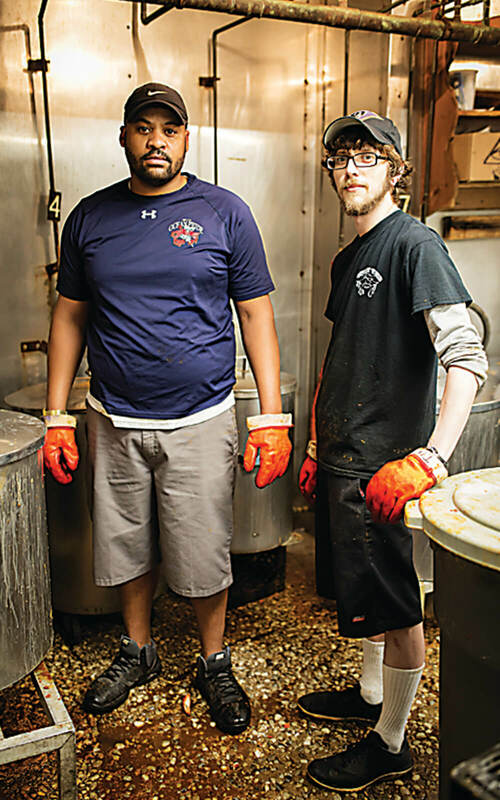 The Rosedale crab house—founded in 1897—has always been in the family, calling three different locations home, refusing to sell out to big buyers, and even surviving the Great Baltimore Fire of 1904. 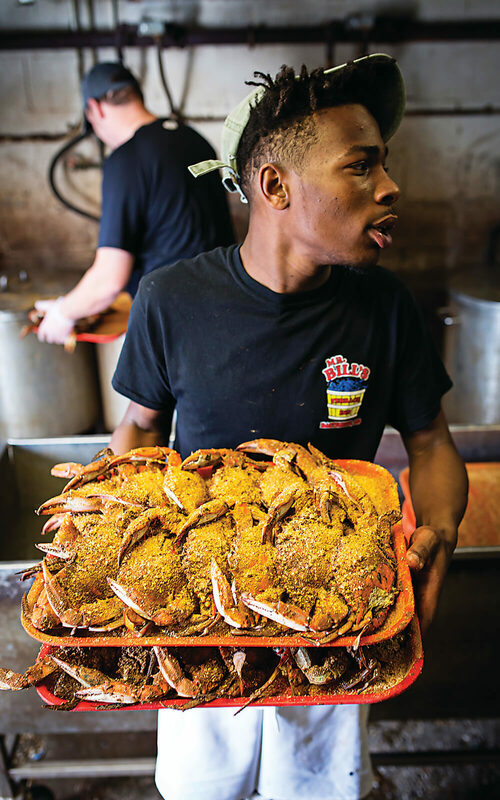 Now 68 years old, Schisler chronicles the history of what’s believed to be Baltimore’s oldest crab house, which started when his great-grandfather Salvatore DiPaula opened the doors at 421-23 E. Lexington St., right across the street from City Hall. 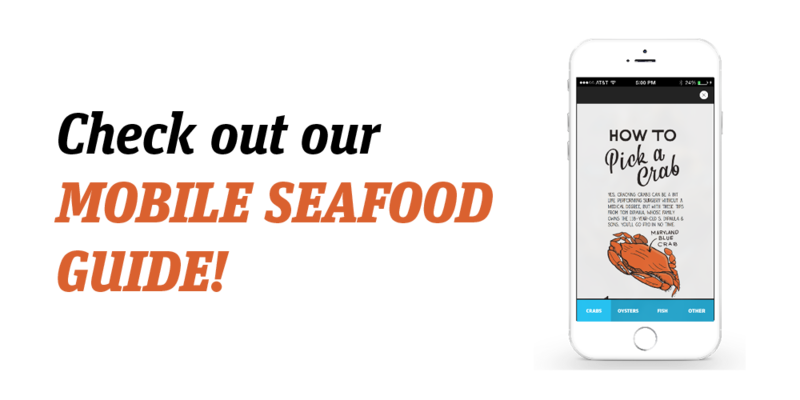 At the time, it was just a modest storefront that offered carryout seafood to the neighborhood. 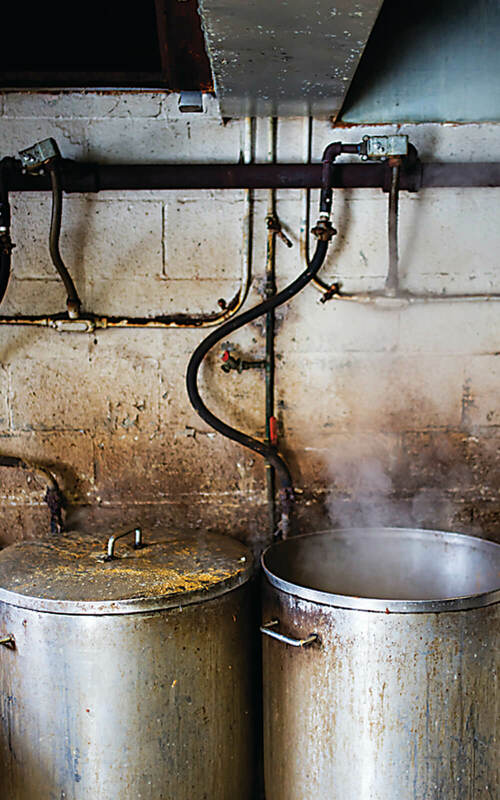 After Andrew passed away, his only child, Rosemary DiPaula, and her husband (Schisler’s parents) inherited the business. It wasn’t long before Schisler, about 5 years old at the time, became indoctrinated in crab house culture. He remembers riding around in the delivery trucks as a youngster in the summertime, and punching away at the cash register at the store. Oddly, his favorite activity was cleaning the fish in the back. In the fall of 1972, the city’s “urban renewal” plans forced the company to move to its third and present-day location at 7613 Philadelphia Road in Rosedale. 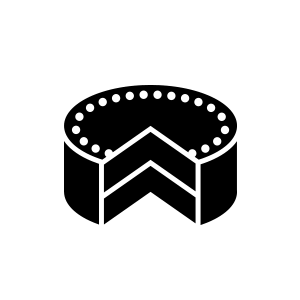 The move gave them the opportunity to add a produce line in 1979. 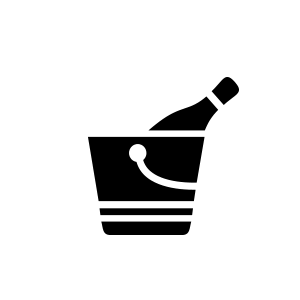 Schisler took over the wholesale and retail business in 1991 and says it has been interesting to watch trends change.